If you’re even a little bit worried that you have a leak somewhere on your property then the best thing to do is call in ADI to examine the situation for you. 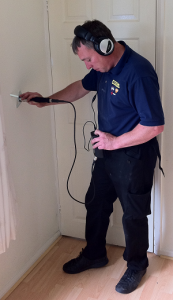 Our ultra advanced leak detection equipment allows us how to find leak in central heating system and underneath floors and patio gardens for example. And because the equipment is so advanced our staff will cause almost no interruption to your daily home or business routine. We can also offer you a competitive pricing structure which you’ll find is hard to beat. 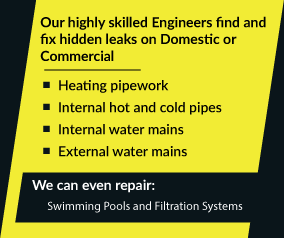 We can also assist customers living anywhere in the UK with their leak related problems. Call ADI Leak Detection now on 08007313843 so we can have a chat about how we can help you.